Tony Aguilar - EnviroCert International, Inc.
Tony Aguilar lives in Ventura, California with his spouse Cynthia and has three children, Bailey, Blake, and Brenden. Cynthia is a stay at home mother as well as a graduate from CalPoly San Luis with a B.S. in Architecture. In his spare time, he loves to camp, ride bikes, overland, and fly various forms of remotely piloted crafts. 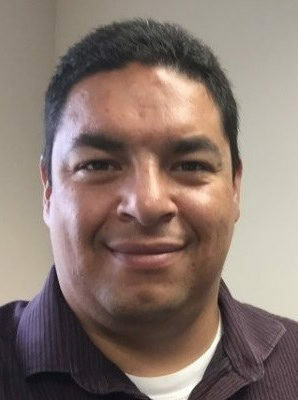 Mr. Aguilar is a Project Engineer with twenty years of practice and presently working for RJR Engineering & Consulting, Inc. in the field of Engineering and Stormwater. He has specialized expertise in construction, stormwater processes, hydrology, and erosion control. He earned his Bachelor of Science in Civil Engineering from California Polytechnic State University, San Luis Obispo, in 2007. He is pursuing his Professional Geologist and Certified Engineering Geologist license in California and has earned several professional certifications including Certified Professional in Erosion and Sediment Control (CPESC); Certified Professional in Storm Water Quality (CPSWQ); Certified Professional in Industrial Stormwater Management (CPISM); Certified Erosion, Sediment, & Stormwater Inspectors (CESSWI); and Certified Professional sUAS Remote Pilot (FAA Part 107). Mr. Aguilar has worked both in the private and public sectors during his career and has completed a variety of projects within the civil engineering and stormwater fields. He recently co-founded a small business dedicated to utilizing unmanned aerial vehicles for the purposes of inspection and sampling, for the use with civil and stormwater projects. He is investigating the viability of the use of these systems for mapping and sampling in various terrains and data collection for use with local and regional agencies. He previously worked for the City of Calabasas as an associate civil engineer, and Ventura School District as a High School Soccer Coach.